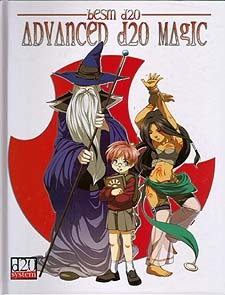 Advanced d20 Magic provides players and Game Masters with a balanced, sophisticated magic system for d20 System role-playing games (including BESM d20). This book includes complete rules for skill-based magic mechanics, guidelines on how to accurately convert traditional d20 spells for use with the advanced system, and hundreds of converted spells for easy use. If you enjoy playing high-fantasy games and wish to move beyond the restrictive level-based magic system, this is the ideal book for you!